Eureka! 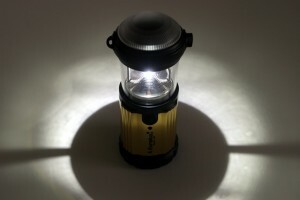 combines a flashlight and lantern in one unit that’s both compact and functional. If you ask most campers what kind of illumination they use on their outings, most will say that they carry both a flashlight and a table-top lantern. But instead of carrying both, Eureka! 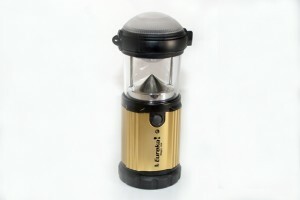 came out with its Magic 185 LED lantern /flashlight, that makes your personal camping outings that much lighter and more enjoyable. The Magic 185 uses a bright Cree LED light that’s exceptionally bright and is housed in a rotating top housing. When the housing is rotated in one direction, the Magic 185 becomes a compact flashlight that’s great when you need a personal light to move around the campsite in the dark. Rotate the LED housing the other direction, and the light points down to a reflector that turns it into a lantern, providing 360 degree illumination for reading, fixing meals and talking to your friends and family. The Magic 185 measures 2.8 inches in diameter and stands at 6.1 inches tall from its base. So it’s about the width of a large D-cell flashlight but only weighs 10.5 ounces. The 185 lumens LED light pierces through the dark with only four AA size batteries and lasts about 25 hours of continuous use. The outer shell of the Magic 185 is made of a durable aluminum housing over a high-impact plastic shell. 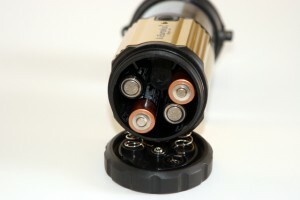 The base has a rubberized cap that features an O-ring to prevent moisture from entering into the battery compartment. The base cap also has a swivel D-ring that can be used to hang the unit from a tree or inside your tent. The Eureka! 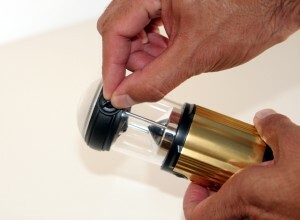 Magic 185 in flashlight mode has a bright 185 Lumens LED light within a plastic dome diffuser. We liked the fact that the Magic 185 also came with a small plastic carabiner and nylon wrist strap, further increasing the function and “dangle-ability” of the light. We also liked that when off, the Magic 185 has a small green LED indicator that flashes every five seconds. This makes it easy to find the light in the dark when you need it. The rubber on/off switch is flush with the lantern body so it won’t be turned on by accident. Push it once and the Magic 185 lights up at full intensity. Push it again and the illumination is set to low light. When you push and hold the on/off button for three seconds, the Magic 185 goes into a strobe mode that can be used for emergencies or with some music from your iPod, you can turn your campsite into a disco. 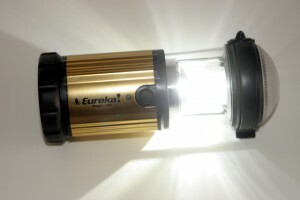 In its lantern model the Eureka Magic 185 gives excellen 360 degree light for a table top or inside your tent. In pitch black darkness, the flashlight mode has a softer, more diffused light and works well to see three to five feet in front of you. It’s not going to work as well as a focused beam flashlight, but it provides more than enough light to get you to the restroom in the middle of the night. We liked the Magic 185 in the lantern mode best of all. It’s small and light enough to hang from the gear loop in our tent and provided enough light to read and search through our packs for gear with both hands free. The base has a rubberized battery compartment cap and D-ring with swivel. 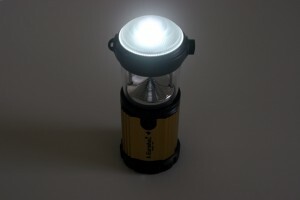 Turn the rotating dome knob and you easily switch from flashlight to lantern. The light comes with four AA batteries that fit into the battery compartment that's sealed with an O-ring to keep water out. The Eureka Magic 185 weighs 10.5 ounces and is made from high-impact plastic and has an anodized aluminum shell. 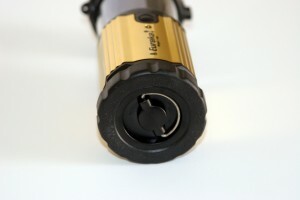 The light can be adjusted for high and low power, and has a flash signal.